An ancient tradition in the territory of the Emilia-Romagna Region, Villa Zarri Nocino liqueur is produced according to an old family recipe and its processing is completely carried out manually. The husks use are from organically grown walnuts which are gathered, in compliance with traditions, on the 24th of June, that is Saint John’s Day, when they have become ripe, but their woody shell has not yet developed. At this point the walnuts are cut into 4 slices by means of large scissors and then macerated in good-quality 95% alcohol with added cloves, cinnamon sticks, sugar and water. The infusion is macerated for approximately 60 days, and every day it is stirred manually by means of a wooden stick. At the end of the infusion period, Nocino rests for at least one year in a steel container, then is filtered and bottled. Its color appears to be old copper with caramel shades. When it is poured into a glass, it moves slowly, thus hinting at a very rich scent. The first olfactory impression is intense but discreet, the alcohol is not aggressive and the typical sensation of husks are well defined. Later, its aromatic potential expresses itself as a more complex bouquet, containing licorice, arugula, nutmeg and a smoked note. This bastion of Emilian traditions conquers those who taste it thanks to its refinement and aroma, whereas the final taste in their mouths is long, with pleasant and enveloping husk aftertaste. Serving suggestions: to be enjoyed at the end of a meal, at a temperature of 64 -68 degrees Fahrenheit. In summer it is very pleasant with some ice cubes. 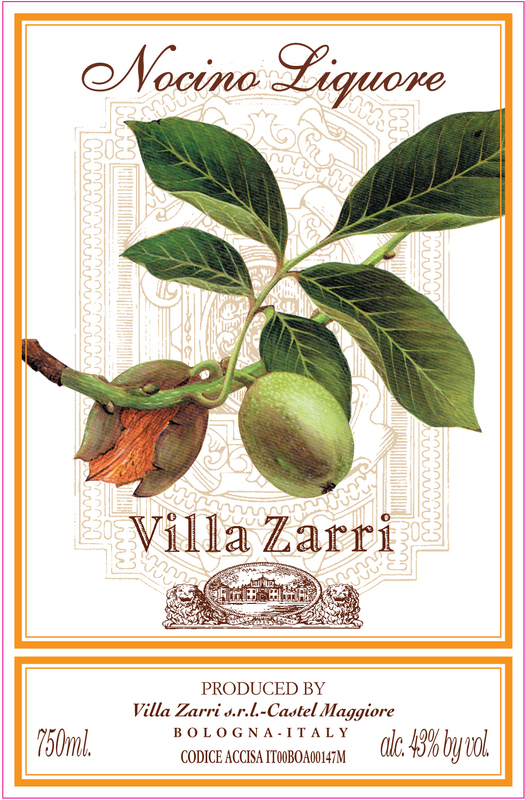 It combines well with dry fruits, plain chocolate, dry cookies and, during the proper season, roast chestnuts.